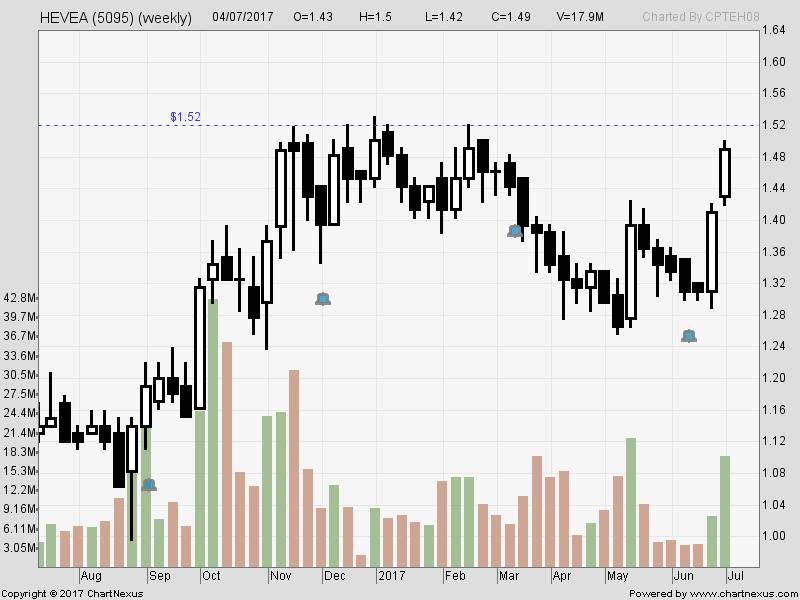 Hevea : Testing resistance ... checking the weekly chart, we could see today is NOT A BUY. 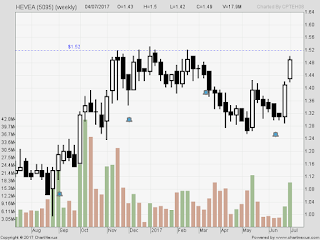 Buy was 2-3 days ago when I posted ... and yesterday, when it hit RM1.50, I sold off my Hevea-wb. So ... Hevea is a wait-for-breakout ... check again on Friday. Otherwise, I will take a pause in Hevea as I still have many to handle. Check on the technical term : RESISTANCE.